Network-based recommendation systems leverage the topology of the underlying graph and the current user context to rank objects in the database. Random walk-based techniques, such as PageRank, encode the structure of the graph in the form of a transition matrix of a stochastic process from which the significances of the nodes in the graph are inferred. Personalized PageRank (PPR) techniques complement this with a seed node set which serves as the personalization context. In this paper, we note (and experimentally show) that PPR algorithms that do not differentiate among the seed nodes may not properly rank nodes in situations where the seed set is incomplete and/or noisy. To tackle this problem, we propose alternative robust personalized PageRank (RPR) strategies, which are insensitive to noise in the set of seed nodes and in which the rankings are not overly biased towards the seed nodes. In particular, we show that novel teleportation-discounting and seed-set maximal PPR techniques help eliminate harmful bias of individual seed nodes and provide effective seed differentiation to lead to more accurate rankings. We also show that the proposed techniques lead to efficient implementations, where existing approximation algorithms and/or parallel implementations for computing the PPR scores can be easily leveraged. Moreover, the proposed formulations are reuse-promoting in the sense that, it is possible to divide the work relative to individual seed nodes and cache the intermediary results obtained during the computation, and especially in systems with large query throughputs, it may be possible to cluster queries based on the partial overlaps between the seed sets and reduce the overall robust PPR computation costs. Experiment results show that the proposed techniques are efficient and highly effective in improving recommendations and eliminating unwanted bias due to imperfections in the seed set. S. Huang and X. Li are student authors with equal contributions. This paper is the extended version of Shengyu Huang, Xinsheng Li, K. Selçuk Candan, Maria Luisa Sapino. “Can you really trust that seed?”: Reducing the Impact of Seed Noise in Personalized PageRank. 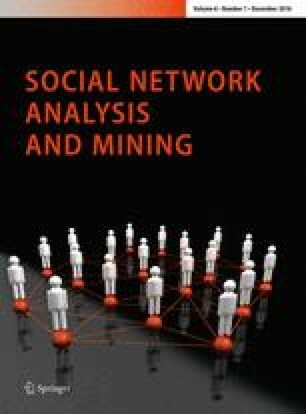 International Conference on Advances in Social Network Analysis and Mining (ASONAM). Beijing, China. 2014. This work is supported by NSF Grants 1339835 “E-SDMS: Energy Simulation Data Management System Software” and 1318788 “Data Management for Real-Time Data Driven Epidemic Spread Simulations”. This work is also supported in part by a CES Grant “Large-scale Data-driven Sensing and Analytics for Dynamic Failure Prediction”.